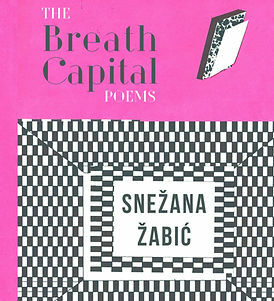 PTR founder and editor Snežana Žabić will be reading from her poetry collection The Breath Capital on Friday, November 4 at KGB: New Meridian Arts Party. New Meridian Arts is a non-profit organization dedicated to the artistic exchange between cultures through a wide variety of activities, from book publishing and magazine production, to visual and performing arts. The Breath Capital records points of bodily contact in urban environments where eye contact is tacitly forbidden, but where we breathe each other’s molecules in and out. The collection is haunted by 20th-century Europe, but it exists in the Unites States in the 21st century, amid the current drama of late-capitalist class struggle tied to the past and present racial and gender politics.